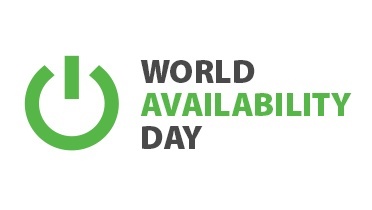 World Availability Day? What the heck is this? We've been touting Availability for the Modern Data Center for a while and stake the claim that March 30 is World Availability Day. Last year we blogged about wishing the world a Happy World Backup Day on March 31, and don’t be caught on the wrong side of an April Fools’ Joke the next day! Availability is one better than just having backups. Sure, backups aren't going away and are an essential part of the Modern Data Center; but the main benefit of the full strategy is availability. The Not For Resale (NFR) license program of Veeam Availability Suite is a great tool for your labs and a taste of what can happen with the paid editions. This 2 socket license is fully functional for both Veeam Backup & Replication as well as Veeam ONE. Veeam Endpoint Backup FREE is a new product designed to protect Windows desktops and laptops. While currently in beta, we will be seeing Endpoint become generally available very soon. It’s also important to note that this product in the beta functionality will exist for free forever! Unlike Veeam Backup Free Edition for VMs, Veeam Endpoint Backup Free does have a scheduler for backup jobs! Backup is no longer enough! Backup isn’t going away, but the modern data center demands more. The expectations are high today, you know that. What we do here at Veeam is helping with that and we’ll go at it tirelessly until we all get there. What does availability mean to you? Share your comments below, but enjoy World Availability Day!